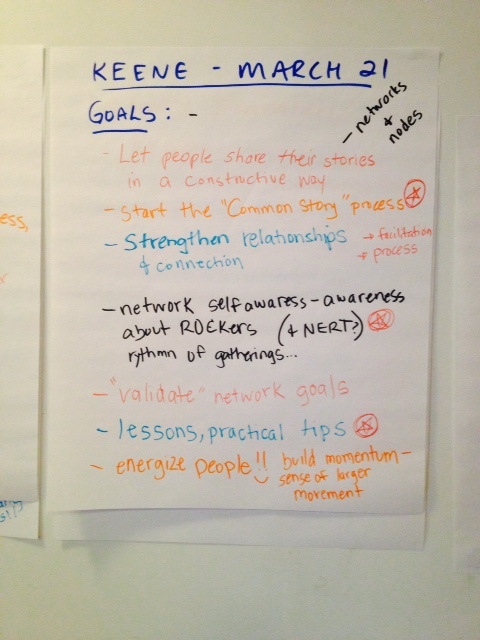 On January 19, members of the ROCkers met in Boston to continue the conversation about regional resilience and the upcoming gathering of the full New England Resilience & Transition network. 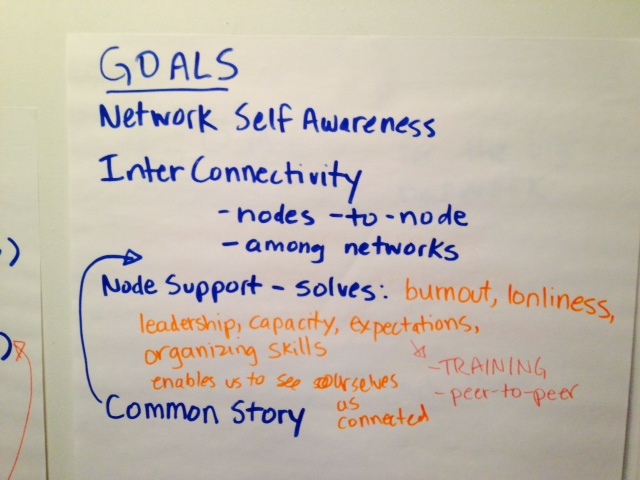 After introductions and a review of our network story that touched on past gatherings in Boston, Brattleboro, Portland, Keene, and Smithfield, we decided to tackle a big question: what are the objectives of the New England Resilience & Transition Network? 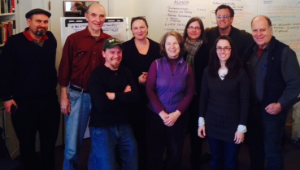 Support Inter-Connectivity, both among the grassroots groups that make up the network, and with other kindred networks, such as Food Solutions New England, New England Local Energy Network, etc. Support Grassroots Groups by providing resources and inspiration to tackle issues like burnout, leadership, capacity, expectation-setting, and organizing. Help groups and individuals realize that they are not alone in this work. Articulate a Common Story that conveys our vision for a positive future, despite threats of climate change, resource shortages, inequities, and more. 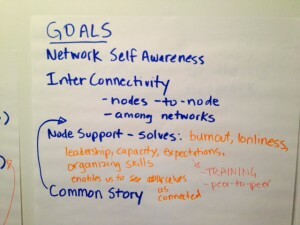 Create a sense of “Network Self-Awareness” among resilience, Transition, and other grassroots groups in New England, so that folks know this network is there to serve them. See the Goals on this Google Doc. After lunch, we talked about the upcoming gathering in Keene, NH, and articulated our goals for that event. Raise awareness of the network itself, and convey the role of the ROCkers. Convey also that there will be a Fall 2015 gathering, and annual gatherings thereafter each fall. Energize people and build momentum! Read more notes about the upcoming Keene event in this Google doc. 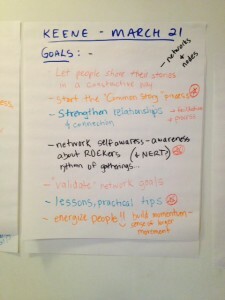 The ROCkers also explicitly considered ways to enhance the connections we hold with other networks, and brainstormed a list of other networks with whom we’d like to connect. We considered shaping the Fall 2015 event around this form of interconnectedness, and decided to return to this question after the March 21 event.